Why we picked it: A far cry from stale supermarket squish, true fresh-baked bread is a sensual experience entirely impossible to replicate for the masses. The varieties at ZTB are true treasures to be savored in heavenly harmony with whatever you pair them with. Why we picked it: A flavorful flame-kissed combination of cured and charbroiled duck, this is just one of the many dishes that testifies to Executive Chef Deme Lomas’ inspired sense of taste and texture. 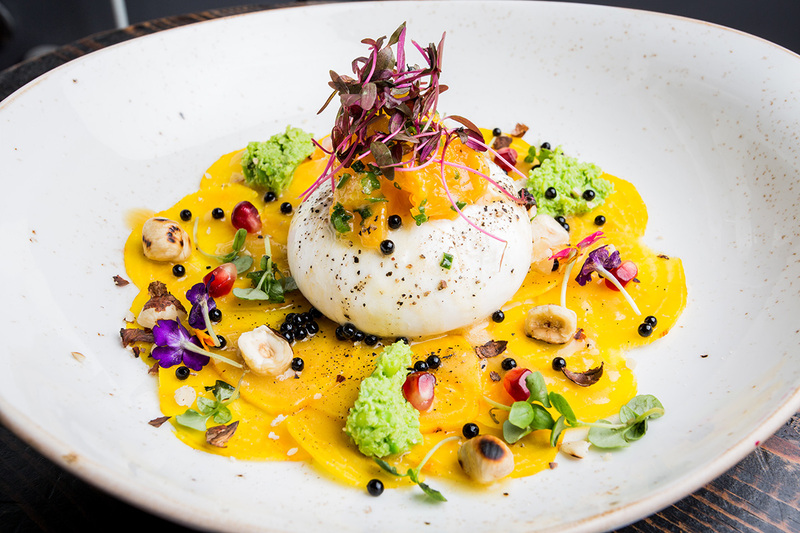 Why we picked it: A colorful conglomeration of hazelnuts, peas, balsamic pearls, orange segments, beets and an artfully alchemied fresh cheese, few would be surprised that an eatery dedicated to decadent vegetarian fare pulled out all the stops on their creamy queso collection. Why we picked it: The way you want it, when you want it, painstakingly prepared from fresh ingredients by employees of one of The Sunshine State’s most magnificent supermarket chains that’s slogan is, appropriately, “Where Shopping Is A Pleasure!”…Pub Subs give you all at that at a price that’s hard to beat, combo optional. Why we picked it: An infinitely Instagrammable concoction crafted by NYC-based Takiyaki, this fantastic flounder-shaped cone comes with such odd (but appetizing) add-ons as red bean paste and cotton candy sprinkles. Why we picked it: The alluring aura of this top-tier java stop inside an unassuming parking structure is bested only by the sheer quality of its offerings, no matter what pick-me-up you’re looking to help spruce up your day. Why we picked it: Although difficult to determine which dish stands above the rest from an overall exemplary menu, there’s nothing more tender and toothsome than Ghee’s faultlessly prepared Smoked Lamb Shank. Try it with Ghost Pepper & Cheddar Naan for extra lip-smacking goodness! 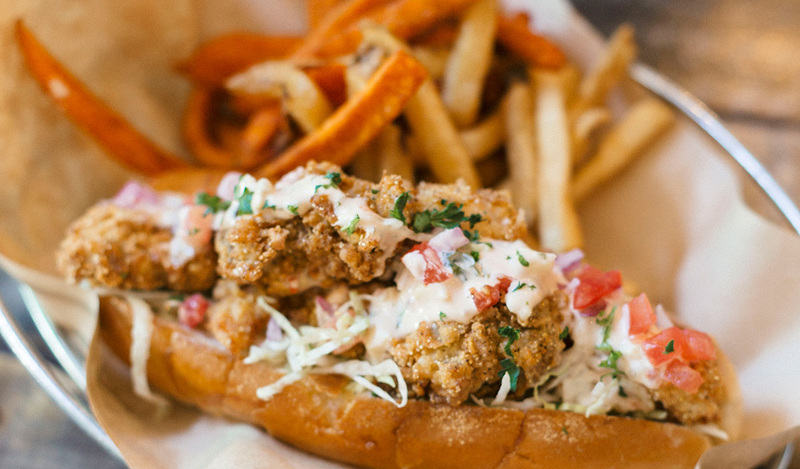 Why we picked it: A hearty and heartfelt interpretation of an American classic by Miami mainstays Kush Hospitality Group, this bold blend of fried shrimp, oysters and spicy Kush sauce is modern comfort food at its finest. 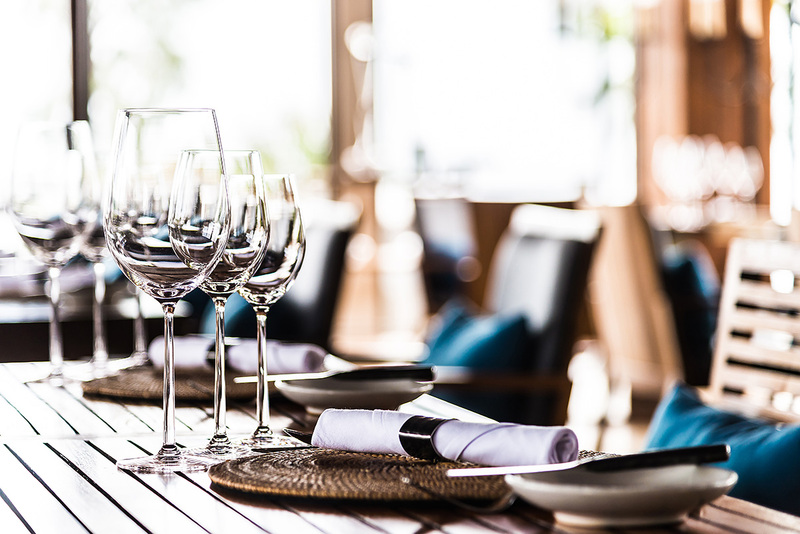 Why we picked it: A perfect product of Top Chef Winner Jeremy Ford’s masterful influences, this perfectly complemented appetizer is an awesome invitation to a world-class dining experience. 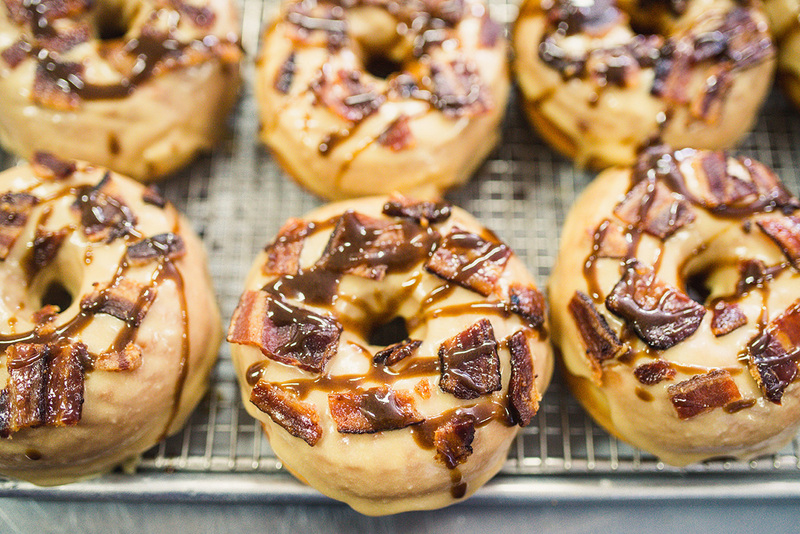 Why we picked it: Back and better than ever, the return of Calle Ocho classic Velvet Creme Doughnuts could spell big things for the expanding district. A fantastic new filling you won’t believe they weren’t producing 47 years ago, you’ll never bore of ordering this super-sweet treat. Why we picked it: Swanky meets casual at this tree-shaded gastronomic wonderland and gourmet market. Their themed Daily Deli Lunch Specials Mon.-Fri. start at 11 a.m. until sold out. Available for front porch dine-in or take out during lunch, Meatball Mondays are particularly popular. Their signature Weekly Features include Pasta Thursdays (Dine-In Only) and 2 For Tuesdays (Take-Out & Delivery Only). Why we picked it: Long celebrated as the top dogs when it comes to this characteristically indulgent Cuban “snack”, you’ll find no more inviting an iteration than the variety located at this no-frills cafeteria. Why we picked it: An unassailable standby for Miamians of all creeds and cliques, you can’t go wrong with the almost over-reasonably priced breakfast on tap till 11 a.m. Big fans of the #1, their French Toast feast is also out-of-this-world. Why we picked it: A scrumptious Northeastern favorite blessedly un-reinvented at this dependable diner, if you’re hankering for a taste normally impossible to replicate outside the greater New York area, look no further. 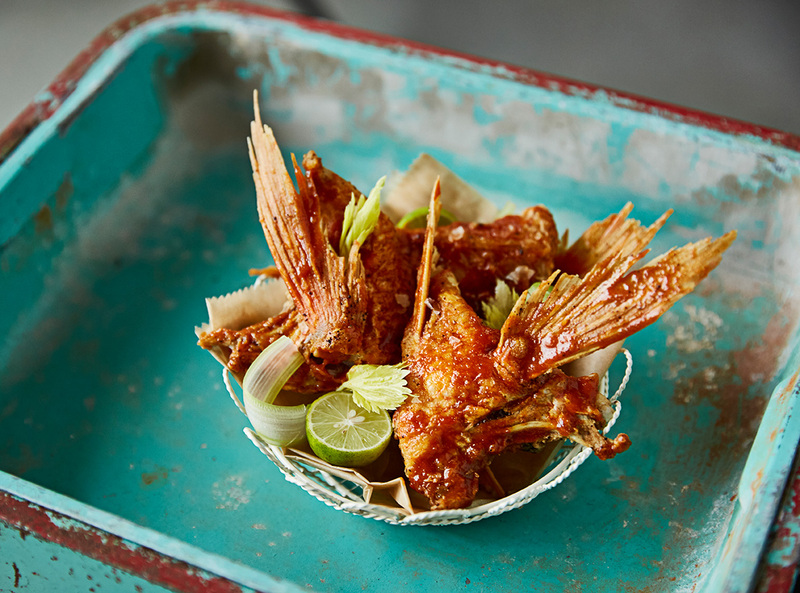 Why we picked it: The epitome of their laid-back approach to producing some of our city’s finest seafood, these fish wings are every bit as comforting as their more common chicken cousins. Why we picked it: Succulently supplemented with andouille sausage and marjoram, this is seriously sensational seafood only available seasonally, so make sure you make popping by Pinch a priority before these shellfish retreat off the menu. Why we picked it: Artful ambience aside, when it comes to the difficult art of preparing tonkotsu broth, Momi Ramen is still king — especially when you include noodles cut daily and made from imported Japanese wheat of the highest quality. Why we picked it: A roasted lobster sauce-topped testament to James Beard Award-Winning Chef Michael Schwartz’s honest Italian roots, each bite of this perfectly prepared pasta shines as a signal of its maker’s mastery. Why we picked it: The real test of any Chinese eatery worth its duck sauce? The quality of their dumplings. A rustically refreshing combination of Ossabaw pork shoulder, Napa cabbage, ginger & garlic, it’s a must-try all year round. Why we picked it: Transport your appetite back in time the instant you stroll into this iconic American diner featuring fresh-cooked hefty portions and the best prices in town for breakfast, brunch and lunch. Every item on the menu is cooked-to-order — and quick! Open daily from 6 a.m. to 2 p.m. Cash Only! Why we picked it: A bit of a hidden treasure, this notable Neapolitan-style pizzeria features a number of sensational specialty pies. Equipped with mouthwatering Mozarella, Prosciutto di Parma and fresh fior di latte, the Daniele is just one of many masterful pies produced at his always abuzz destination for thin-crust perfection. Why we picked it: A narrative-enriched nautical bar where every craft cocktail tells a story, this powerful potion features an innovative array of ingredients, including, but not limited to, apricot-infused Bulleit Rye and jam. Why we picked it: A piquant preparation that hits at all of our city’s favorite flavor profiles, the Hot & Smoky is an ideal introduction to the mezcal sensation currently sweeping our nation, but they do it better…much, much better. Why we picked it: A thoroughly rollicking refreshment enhanced with Wild Turkey, mezcal and cardamom-infused vermouth, the buoyant bite of this marvelously mixed concoction makes it the perfect namesake for this courageous cantina. Why we picked it: Although their standard menu features a little something for just about every palate, it’s Costa Med’s innovative, mouthwatering specials that will leave you speechless, because, well, it’s rude to speak with your mouth full! Why we picked it: A classical presentation of everyone’s favorite potato-stuffed pasta enhanced with a succulent rabbit ragu, any portion of this powerful plate brings to mind the verdant hillsides of Italy past and present. Why we picked it: Best when topped with wild mushrooms, the airy aura of this Design District hotspot fortifies the flavor of this already delicious dish. Excellent with any of their handcrafted beverages as a complement. 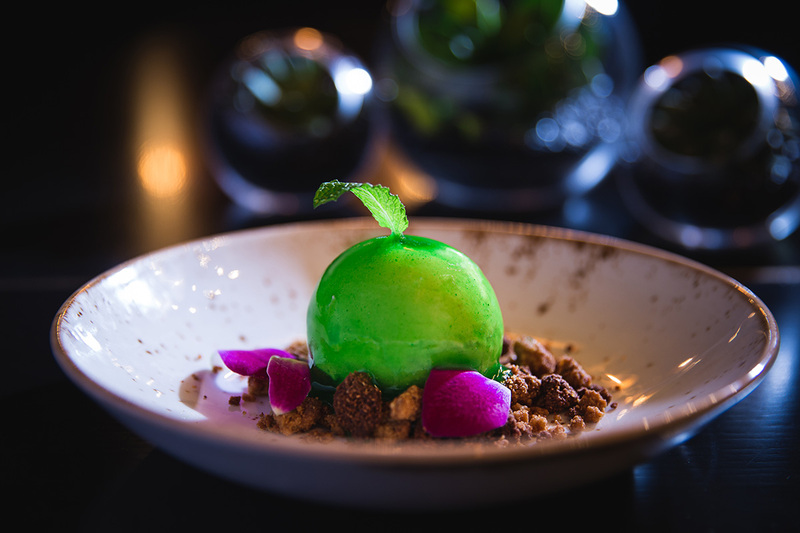 Why we picked it: An appropriately artful offer by appetite-stimulating auteur Walter “Million Dollar Chef” Martino at his futuristic, high-tech Brickell outpost, this delightfully plated dish is every bit as satisfying to eat as it is to gaze upon. 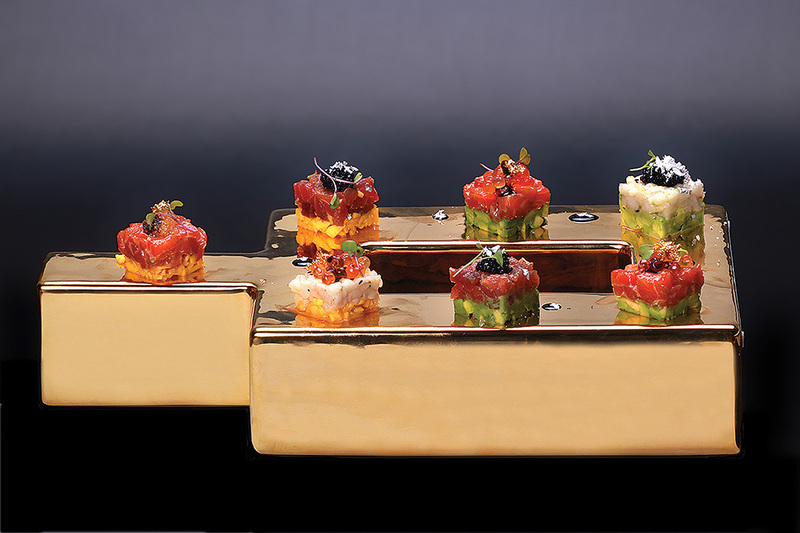 Why we picked it: A satisfyingly simple presentation of raw tuna on an innovative ice block, the enveloping taste of this slice of seafood proves this new eatery is only interested in the freshest and most vibrant ingredients on the planet. Why we picked it: Intimately prepared despite its surrounds, this is just one of the cavalcade of authentic dishes on offer at the latest iteration of our city’s obsession with the food hall. Excellent to enjoy in the communal character of its setting. Why we picked it: A regionally-rich concatenation consisting of St. Augustine Rum, Florida grapefruit juice and honey mead, this is the perfect counterpoint to pour down the throat of any of our state’s many detractors. Why we picked it: A heavenly honey ale enlivened with citrus while still being satisfyingly stout, Bousa Brewing’s Honey Blonde is just one of the many bodacious brews on tap from these Little Haiti icons of buzz. Why we picked it: While you will fall in love with the cuts at this classic chophouse, you’ll certainly wonder whether you should sully this gourmet gastronomic miracle with a spoon! A true masterpiece masquerading as a creatively plated dessert. Why we picked it: Easily championing the true test of any self-described Cuban eatery, the quality of this marinated pork shoulder is easily impossible to put down in words. A true taste of The Estefan’s love for their community. Why we picked it: As a bonafide nirvana for no-nonsense meatlovers, Nusr-Et’s scrupulous attention to their lamb offering ensures that you can sample the most tender and toothsome of Turkish-American fare without ever leaving our shores — although this place will make you feel like you’ve been transported elsewhere. Why we picked it: A charming churrascaria every bit as authentic as it is appetizing, the ribs at this traditional steakhouse simply have to be tasted to be believed. 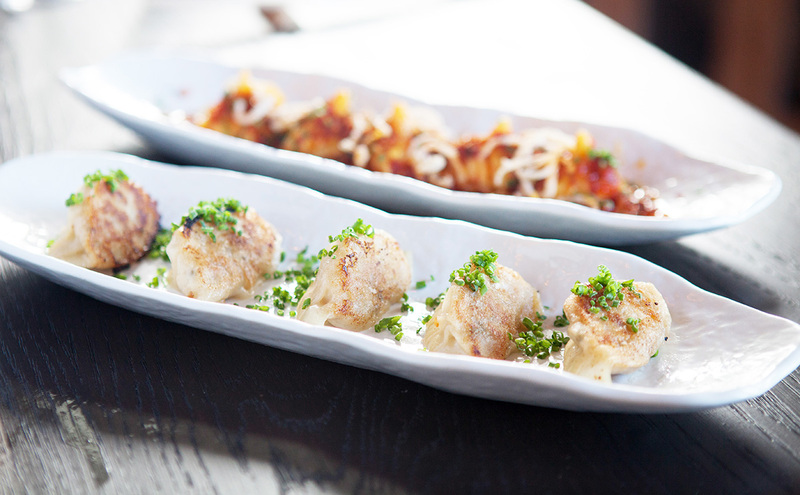 Artfully enhanced by any of their many mouthwatering sides. Why we picked it: Pizza done in true Italian fashion, we can’t decide what’s more attractive about this dish: the traditional preparation and authentic ingredients utilized, or the love Chef Juca imbues in every bite. Why we picked it: A rustic sauce of Chef Gomez’s native Mexico masterfully magnified by his deft hands, this signature Cantina La Veinte dish is mole as you’ve only ever dreamed it. Slathered on a flawlessly cooked chicken leg for added impact, it’s a must-order no matter what you’re craving. Why we picked it: A Mexico City classic updated for the Magic City jetset, this is one satisfying bite of authentic Mexican street food. Excellent when paired with any other taco on the menu, or, if you really want a meal to remember, with one of their award-winning fruit-infused margaritas. 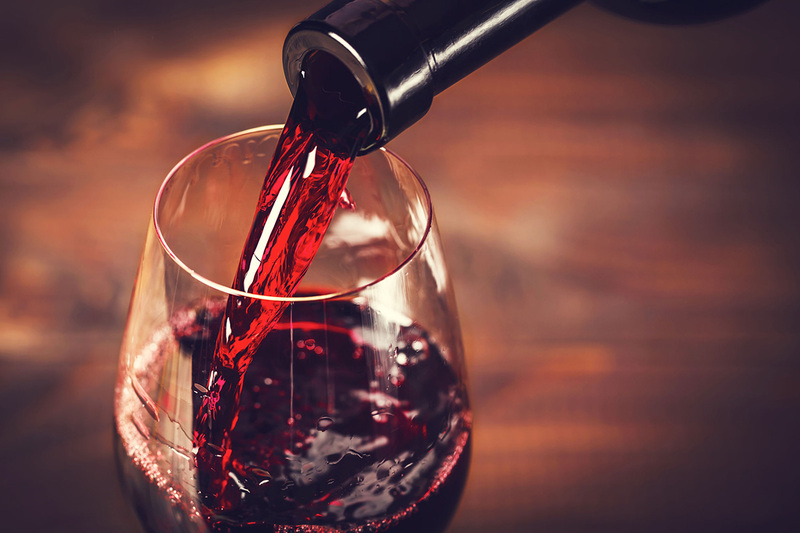 Why we picked it: The winehouse, a species of business established in the days of Ancient Rome, gets a chic and sedate updating at this retail and tasting location stocked with over 500 vino varieties. Staffed by true savants of the oenophillic world. Why we picked it: Sometimes the strongest signal of a chef’s true skill lies more in the simplest dishes, and this grilled salmon topped with just the right amount of lemon is no exception. Why we picked it: A hearty and hospitable expression of this Italian market’s fearlessly friendly atmosphere, the combination of smoked gouda, maple ham and chipotle mayo will make anyone consider moving to the island after just one taste. Why we picked it: A sizeable spread of this top-tier sushi spot’s many rolls, the craftsmanship of these dedicated chefs seems to ensure that their unique flavors will expand their current fanbase even further. 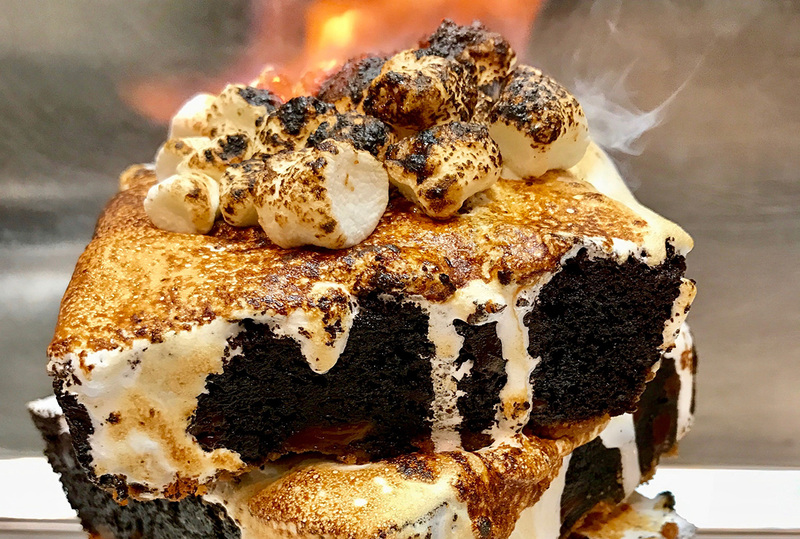 Why we picked it: A decadent dessert that takes the concept of “guilty pleasure” to bold new heights, the S’mores Pie artfully amalgamates everything you love about the fireside treat with the sugar-enhanced artistry of Derek’s deft hands. Why we picked it: A succulent small plate that may have you calling for seconds, KYU pulls out all the stops with this masterful morsel of short ribs coated with sweet soy and garlic. Why we picked it: While the entreés on offer at this chic Greek, off-the-beaten path (yet in the center of it all) spot are superb, you’ll never be able to get enough of their charming, chocolate-coated ode to everyone’s favorite hazelnut spread: Their famous Nutella Calzone. Order two, because you definitely won’t want to share a single crumb. Why we picked it: The peerless product of Chef Boulud’s ever-innovative techniques, this perfectly prepared chicken dish complemented with couscous, cauliflower and turnips is Mediterranean food at its finest. Why we picked it: Considering it consists of 24-hour raised brioche, a pure maple glaze, J. Wakefield’s UJP Porter Redux and cracklings from hometown heroes Miami Smokers, frankly, you’d be crazy if you didn’t at least give this decadent dose of Miami ingenuity a chance to tickle your tastebuds as you fall in love with the flavor profiles of this delectable donut. Why we picked it: Every bit as hospitable as the hotel it inhabits, LIMA’s Peruvian roots and professional presentations make it a treat for even the most seasoned gourmand. An excellent dish, especially with accompanying eggplant. Why we picked it: To your right sits one of Miami’s most powerful developers slurping oysters, dreaming up his next move on the skyline; Behind him, the CEO of one of the world’s most luxurious cruise lines is briefing his new VP on the intricacies of the industry. Noshing and networking at its finest. A perfect complement to famed Chef Michael Schwartz’s award-winning menu, which is the real reason you should stop in as often as possible.